Thank you for your interest in Christ Church’s Children and Family Ministries! We provide many wonderful opportunities for children and families to grow in Christ, individually, and together, and hope that you join us on your journey in faith. For our youngest worshippers, we utilize the Godly Play curriculum to help the children explore their faith through wonder and play. 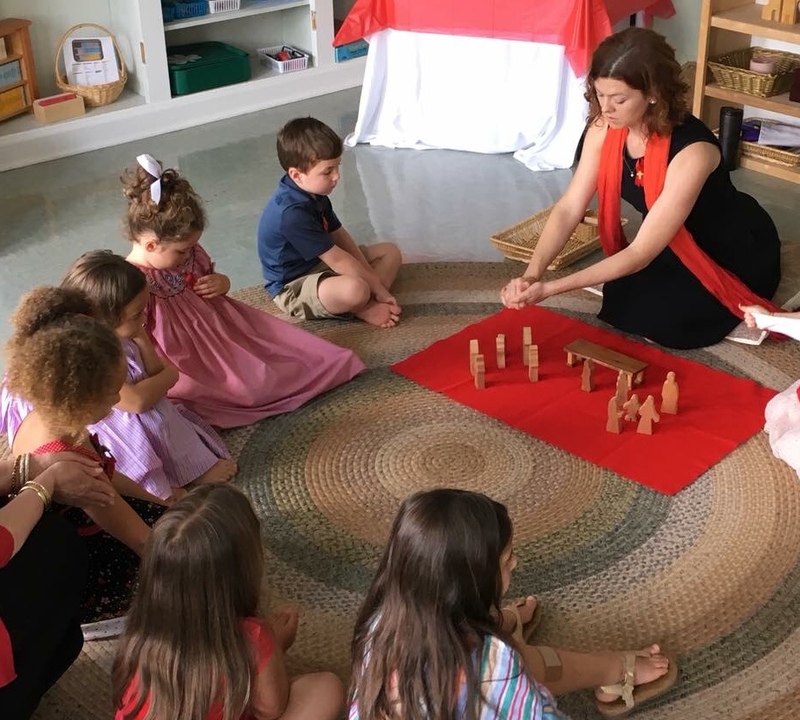 Each week, a bible story is told to the children using the Godly Play method, after which children utilize their “work time” to create something in response to the story. Class is concluded with a “feast” (graham crackers and water), during which the children appreciate the fellowship of their peers. For more information about Godly Play, please visit their website. In our “transition class,” children begin the bridge to middle school Sunday School through the use of the Feasting on the Word curriculum. Feasting on the Word provides a solid scriptural and theological base, inviting leaders and learners with the opportunity for deeper understanding of common Bible passages. This program utilizes a mixture of scripture readings, discussion, visual art, and multimedia resources to create an engaging educational setting for our learners. Class is concluded with a “feast” (graham crackers and water), during which the children appreciate the fellowship of their peers. For more information about Feasting the Word, please visit their website. Nursery care is provided every Sunday for the 8:00am worship service, Sunday School hour from 9:30-10:30, and the 10:30am worship service. 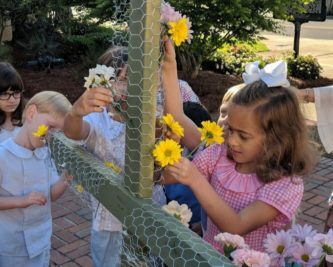 The Christ Church nursery staff works hard to create a loving, happy, safe environment for your child, giving you essential peace of mind as you embark on your time in worship. As well as the opportunity to free play and make friends, children are provided with a bible lesson and snack during their stay in the nursery. We are always in need of Sunday School volunteers! Volunteers come in all varieties, and you might be surprised by how your personal strengths can be utilized in this important ministry. If you are interested in the formation of Christ Church’s youngest worshippers, please contact our Director of Children and Family Ministries, Jen Leahey, jen@christ-church.net. At the gospel, children ages PreK-4th grade are welcome to follow the children’s acolytes upstairs for Children’s Chapel. 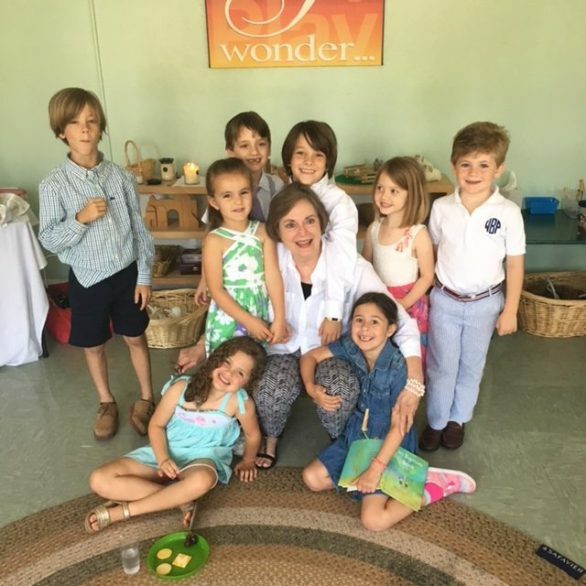 There, a child-centered service is provided which mirrors the adult lectionary, including confessional prayer, a Gospel reading and discussion, a variation on the Nicene Creed, and intercessory prayers. The purpose of Children’s Chapel is two-fold; First, it is designed to preach the Gospel to children in a format that is age-appropriate in content and presentation. 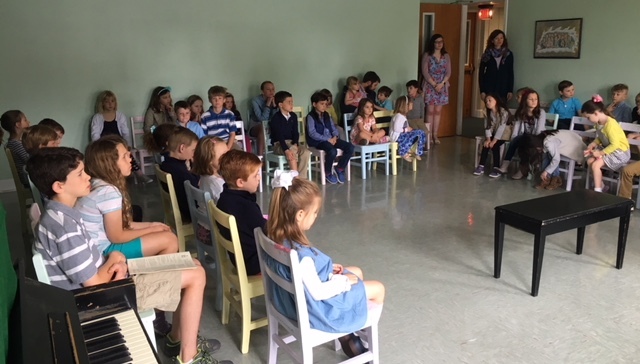 Second, Children’s Chapel teaches the children the parts of the service, in preparation for their eventual participation in the general, adult Sunday morning service. We believe that understanding the liturgy of the service is an important element of Christian formation, and we invite all children to take part in this special time of worship. 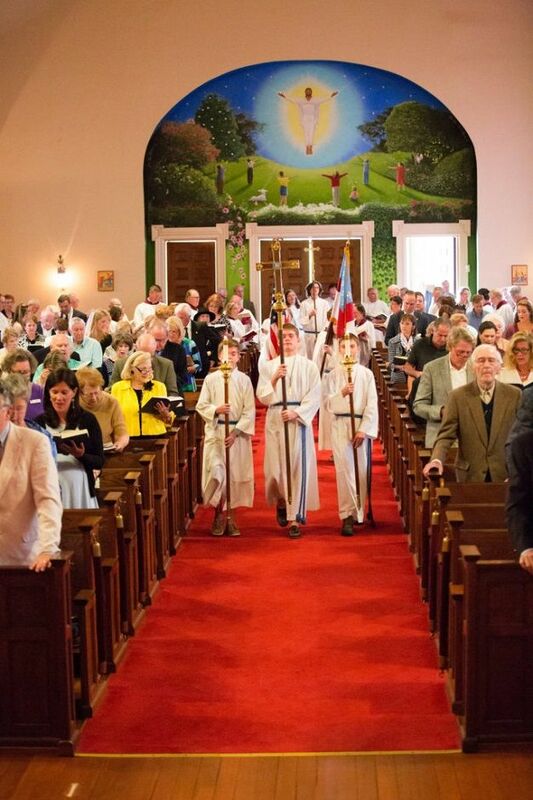 All children first to fifth-grade ages are encouraged to serve a turn as a children’s acolyte. Children take pride in taking part in the service! There are three positions each week: crucifer, flag, & Candle Lighter. If your child is interested in serving, please email the Christian Education Office or call (850) 432-5115. 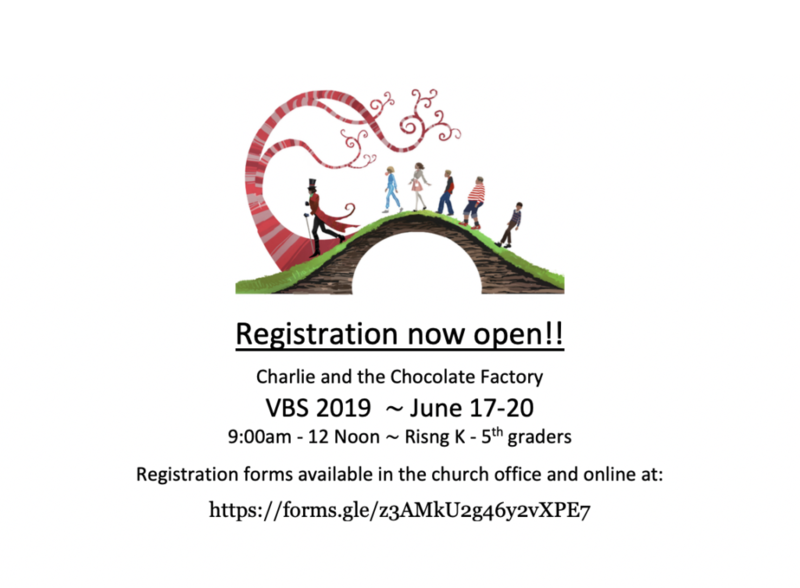 This is a new program for Christ Church, and a fantastic opportunity not only to make new friends, but for parents to get involved in the Christian education of their children! A meal will be provided at 5:30 p.m. at the cost of $2 per person ($10 max per family), during which families can enjoy fellowship and make new friends (adults and children alike!). Following dinner, a bible story will be presented, followed by an associated project/craft. Life is incredibly busy, so through Families, Fellowship, and Formation we hope to provide a brief, mid-week sanctuary where families can reconnect and spend quality time together investing in Christian formation and fellowship. Available during regular church office hours. A new addition to the Christ Church Christian Education wing is our new Children’s Library. Located on the 2nd floor of the Christian Education building, Room 30, the Children’s Library is stocked with a variety of both religious and secular children’s books, all generously donated by the parishioners of Christ Church. We are thankful for the opportunity to provide resources for early literacy, as well as the space for children and family members to bond through reading together. A new addition to the Christ Church Christian Education wing is our new Creation Station. Located on the 2nd floor of the Christian Education building, Room 39, the Creation Station is stocked with an array of various art supplies to spark the creativity of all of God’s children, old, young, and in between. As God created mankind, we, too, are blessed with the ability to create! Whether it be a simple pencil sketch, a colorful mosaic of ribbon and felt, or an elaborate sculpture of clay, it is through our creativity that we interpret the beautiful world around us. We invite you to work with your child in our Creation Station and create something beautiful together. 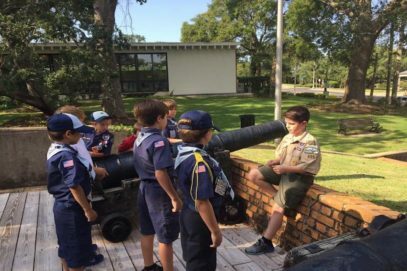 Christ Church is proudly the charter organization for Cub Scout Pack 5 of the Boy Scouts of America. For more information regarding meeting times or registering with the pack, contact Matt Raybourn. The Canterbury Choir is for parish children and youth beginning in the first grade. The group sings in church about once a month. Children work with Treece Efird and Music Director, David Leahey. They provide voice instruction while teaching the singers about music in worship. Children meet weekly on Thursdays after school for rehearsal and sing in church once a month. New members are accepted during the first four weeks at the beginning of each semester beginning in August and the second semester starting in January. 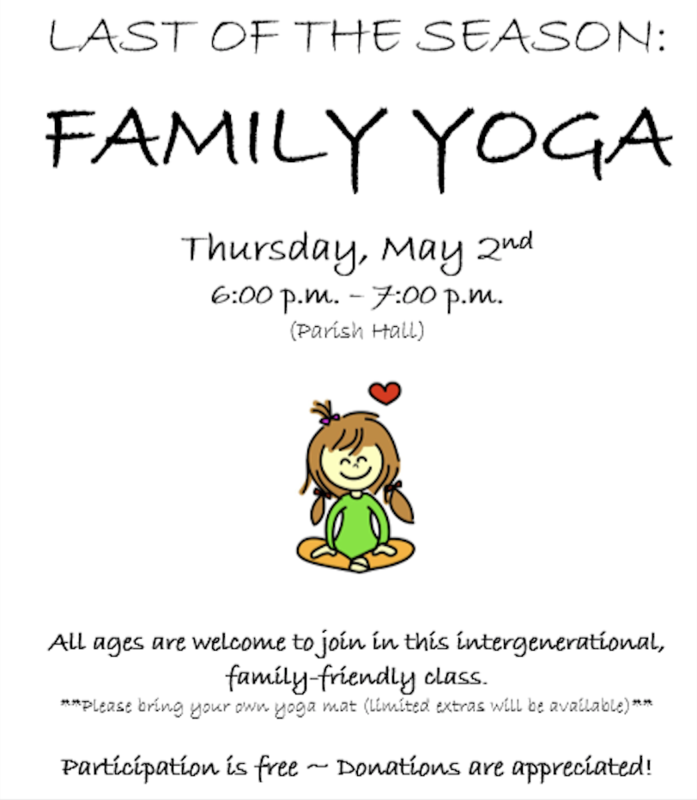 Have a child that would like to join? Contact Treece Efird for more information.